This was on our first levada hike on the way back. The path here is pretty exposed and as you can tell there is a tunnel it goes into. The fence that is meant to protect you on the path because the hillside is really steep. But as you can tell not every fence is unbend and intact. 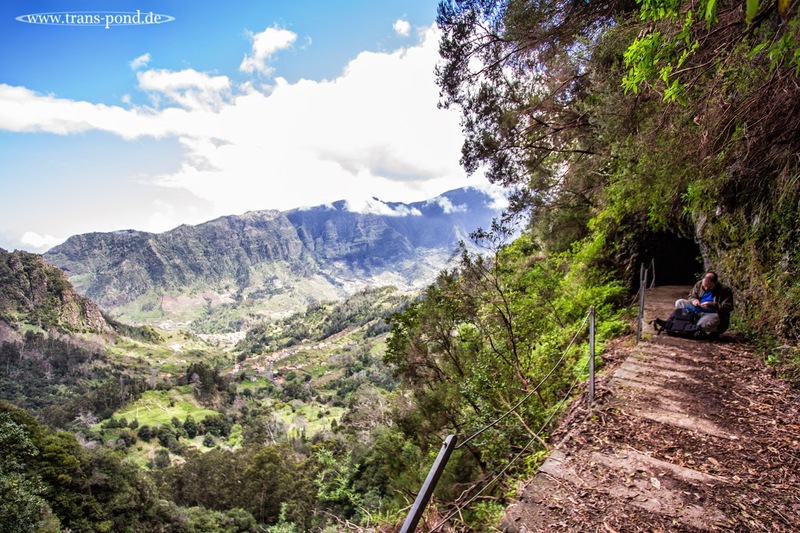 The levada, by the way, is underneath the concret slabs that you see here. There is no room elsewhere to walk so the levada is covered in this section.